The governor's office did not respond to multiple requests for more details on his proposed ban and confiscation plan or answer questions on how such a plan would be enforced. Republican leadership of Virginia's legislature indicated they would oppose Northam's gun-control push. "The @vahousegop will steadfastly fight to defend the Second Amendment rights of law abiding citizens from far-left gun control proposals this session," Kirk Cox, the Republican speaker of Virginia's House of Delegates, said on Twitter last week. Republicans currently control both the Virginia Senate and House of Delegates but only by the slimmest of margins: one vote in the house and two in the senate. The National Rifle Association and Virginia Citizens Defense League said they would fight to prevent the new gun ban and confiscation effort from becoming law. "Virginians want elected officials to address the root causes of violent crime and find solutions that will save lives instead of pursuing gun-control policies that criminals will not follow and will make it more difficult for law-abiding citizens to defend themselves," Catherine Mortensen, spokesperson for the NRA's Institute of Legislative Action, told the Free Beacon. "This latest gun-control agenda is being pushed by politicians who would rather score political points than tackle the tough issues related to violent crime." 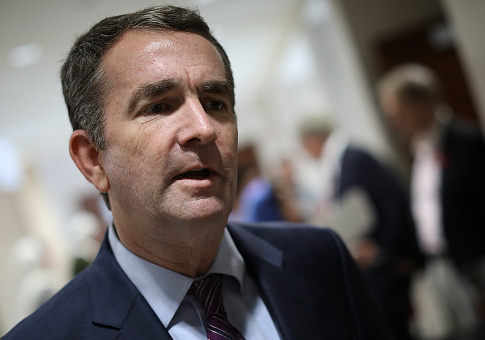 "None of the gun bills that Governor Northam is pushing will make Virginians any safer," Philip Van Cleave, president of the Virginia Citizens Defense League, explained to the Free Beacon. "But they would go a long way into turning law-abiding Virginia citizens into inadvertent criminals." The NSSF similarly called such a ban ineffective and advocated instead for Virginia to focus on solving firearms thefts from gun dealers and better enforcing current law. "Proposals to ban firearms based on arbitrary cosmetic features has proven to be an ill-advised way to legislate for public safety," Keane told the Free Beacon. "The 1994 Assault Weapons Ban showed no impact on reducing crime or violence over its 10 years of existence, and in fact, as ownership of modern sporting rifles increased since the ban expired, crime has fallen precipitously. Efforts would be better served in enforcing existing laws, including reducing the rate of thefts and burglaries at firearms retailers in the Old Dominion." This entry was posted in Issues and tagged Gun Control, New Gun Laws, Virginia. Bookmark the permalink.